Ben Vince - Assimilation. Vinyl LP. Bleep. 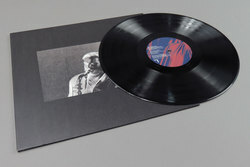 Saxophone soundscaper Ben Vince is currently on his way to becoming one of the most hyped artists operating within the fringes of contemporary jazz and experimental electronica right now. 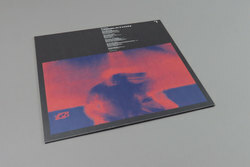 Following on from his recent Hessle Audio 12" with Joy O, he rifles further into his address book to call on a stellar cast of like-minded musicians, most notably Mica Levi, Rupert Clervaux, The Death Of Rave's Cam Deas and Valentina Magaletti of Tomaga, Raime and UUUU, for Assimilation, his debut album on Where To Now? Opening with the delicate Sax tones and Diamanda Galas styled vocal entities of Alive & Ready, Ben Vince and the LPs first collaborator Merlin Nova instantly set a tone that sounds uncannily like some sort of Blade Runner live soundtrack if it were being played out in Cafe OTO (in a good way). This is swiftly followed by Mica Levi who spins a mesmerising pop dexterity in What I Can See, continuing the blueprint of her exceptional collaborative album Remain Calm with Oliver Coates while swimming in deep in the waters of Arthur Russells World Of Echo. 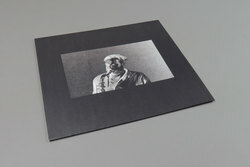 Sensory Crossing sees Ben Vince joining forces with Rupert Clervaux for a bumping skronk-esq electro-acoustic techno number that as it builds in momentum also starts to fold in on itself, giving the feeling that the wheels are starting to fall off the faster it goes. While Valentina Magaletti and Cam Deas lay the foundations for Tower Of Cells by letting Ben Vince unleash all of his wildest notes in what sounds like a boxing match between a laptop and a saxophone. Before Assimilation closes the album on with Vince operating on a solo tip. Very strong album for all followers of Muslimgauze, Jon Hassell and anyone who wants something to unwind a bit after belting out that killer Joy O 12". View More Where To Now?